Industry watchers haven’t seen a significant decrease in Russians buying property since the ruble’s decline against the dollar but have noticed that those who were unsure about moving ahead with a purchase in South Florida have decided against doing so for now. 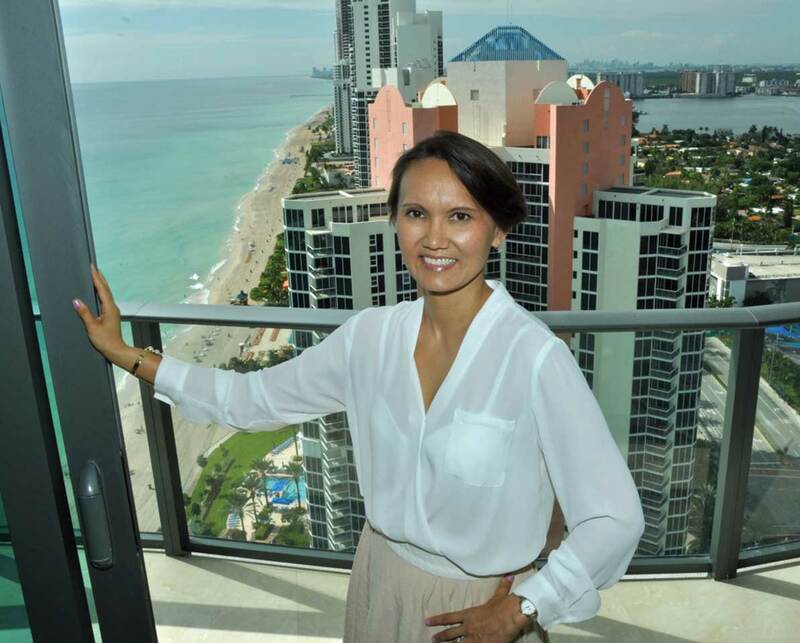 Irina Kim Sang, broker associate for Coldwell Banker Miami Beach who said her specialty is Russian-speaking luxury buyers interested in residential and commercial real estate, is still selling high-end, one-of-a-kind residences to Russians but said she received more inquiries from new-to-market prospective homeowners before the ruble’s decline in value. So there are definitely Russians who are in a “holding pattern,” Ms. Sang believes, either because of the instability of their currency or political concerns, given the uncertainty about relations between the US and Russia and whether there might be changes in visa issue procedures. The ruble has decreased dramatically in value against the dollar in the last year, albeit with some fluctuations, due to the price of oil plummeting, one of Russia’s main exports, and Western sanctions put on the country because of its Ukraine policy. Yet a number of Russians are still buying property, mainly those who have already purchased here and are changing their behaviors, Ms. Sang said. She is seeing several categories of these Russian buyers: those shifting from a condo to single-family home where they appreciate the privacy; families moving to other communities in South Florida because they believe the schools there are better for their children; and affluent buyers able to purchase properties in the price range of $5 million and above. These buyers don’t have particular worries, Ms. Sang said, but want a trophy, unique home. Previously, she said, these buyers didn’t have as many choices but are now able to look into new, luxury construction properties such as Jade Ocean Condos or the Chateaux, where they can have ocean views and unique layouts. Yet another group of Russian-speaking buyers, Ms. Sang, are coming from Canada, New York and New Jersey. She sees stable interest among these potential homeowners. The Miami Association of Realtors reported Russians were the fourth largest group of foreign buyers searching its website for residential properties. In January last year Russia didn’t make it to the top 10 countries for this online traffic. Mr. Cruz said investors will be looking for a safe haven to protect their wealth, and Miami real estate continues to be viewed as a very good option.